News articles are often a great source of information about tattoo artists or attractions, but at times reporters take leave of the facts or, heaven forbid, the artist or attraction will embroider the facts. 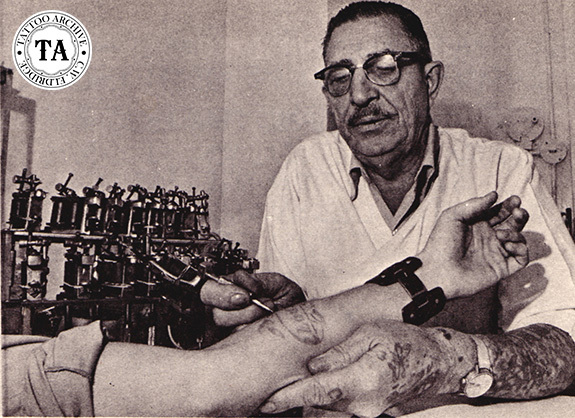 Case in point: A 1970s news article stated that Charlie got his start in the tattoo business in 1915 and as a youth worked in traveling carnivals and circuses. “Just natural” is the way Charlie says he learned to tattoo as he followed the old sawdust circuit decorating Midwestern forearms with heart-enclosed Moms and rebel flags on southern biceps. The news articles went on to say that in the years that followed, Charlie operated shops in San Antonio, San Diego, San Francisco, Portland, Seattle, Cleveland, and New Orleans. As of 2017 there have been no public records found to substantiate that Charlie worked in any of those cities and as Charlie was born in 1905, he would have been just 10 years old in 1915! It is known that Charlie did settle back in Baltimore in the early 1940s. 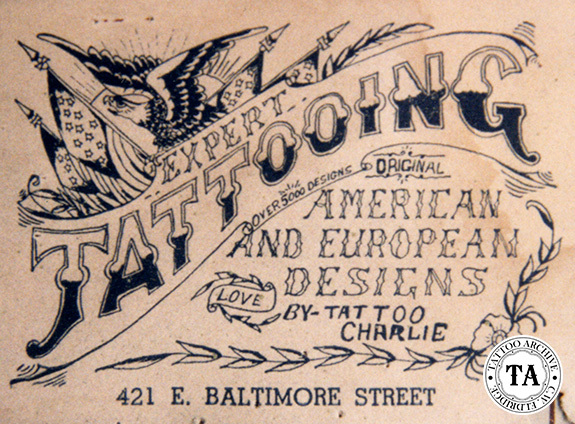 A 1971 news article quoted Charlie as saying; “At that time and during the flourishing war years there were four other tattooists working in Baltimore and kept busy by a steady influx of sailors, soldiers and marines.” The other tattooists Charlie mentioned that worked in Baltimore through the years included Antone Aguiar, George Rogers, Frenchy and Sailor Youlee. 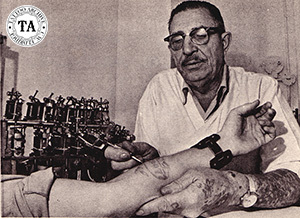 In 1953 the city’s health department passed new sanitation and licensing regulations and raised the age limit to get a tattoo from 18 to 21 years. In a 1956 news article Charlie stated that his competition was leaving because of the new regulations. Charlie was proud that he stuck it out in Baltimore while weaker men moved on or gave up the trade. Tattoo Charlie died March 1, 1980. Want to know more about Charlie Geizer? Get The Life & Times: "Tattoo Charlie" Geizer in our online store.